Rep. Mike Coffman: mad as hell…at everyone? With funding about to run out, Congress and the administration failed again Tuesday to reach a deal on how to finish construction of a Veterans Affairs hospital in Aurora that has seen its price tag soar to $1.73 billion. The latest setback follows an offer by the U.S. Department of Veterans Affairs to trim the hospital campus by two buildings, including a clinic for post-traumatic stress disorder. “I’ve been shuttling back and forth between (VA) Secretary (Robert) McDonald and the speaker’s office hoping that an agreement can be reached before the end of this week in order to avoid a complete shutdown at the hospital construction site,” Coffman said. 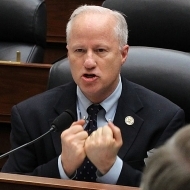 Coffman, along with the other eight members of Colorado’s congressional delegation, are racing the clock, hoping to convince congressional leaders to authorize another $200 million toward to the spending cap on the Aurora hospital project. A high-level, eleventh hour meeting meant to find a way to fund the troubled $1.73 billion VA hospital in Aurora ended in standstill Wednesday, raising the increasingly likely prospect that money for both a long-term and a short-term deal isn’t coming. Matthews reports that if a deal to keep construction going isn’t reached, the cost of mothballing the project will itself be millions of dollars–not to mention the cost of getting subcontractors back on the job after a shutdown, workers who will be snatched up for other Denver-area construction projects as soon as they are idled. While no one is suggesting that Coffman is solely responsible for the huge cost overruns this project has incurred, there’s no ignoring the fact that Coffman “owns” as much of this problem as anybody. This is happening in Coffman’s own district; Coffman is the Chair of the Oversight and Investigations subcommittee; and Coffman has campaigned for years on his military background and “support” for veterans. If the VA Hospital in Aurora was completed on-budget and on-time, Coffman would be doing pushups at the ribbon cutting. The bottom line now is that the hospital needs to be finished or, to put it in Shakespearean terms, “all are punished.” The Obama administration looks bad, the VA looks bad, the contractors look bad — and Coffman looks worse by the day as he looks for someone else to blame or be fired. Coffman has a lot to lose if Boehner and the House GOP leadership decide to use this project as a stick to beat on the Obama administration, and it’s difficult to see how Republicans can do this without inflicting significant collateral damage on the four-term Representative from CD-6. We suspect Coffman is pretty nervous right about now. Yeah but if a tree falls in the forest……? Dem pols better make sure somebody besides Progress Now types know that Coffman was the Chair of the Oversight and Investigations sub-Committee while this was going on, what that means and how much of the responsibility for the fiasco rests with his committee. Otherwise, it's just preachin' to the choir. That means TV appearances now and TV ads come election time, not just blogs and stories in a paper that will be skipped right over by the few who who still get it on their way to the sports, lifestyles and comics sections. This would be a good time for Morgan Carroll to announce her candidacy. No? Not unless this gets beyond left leaning blogs. If only Either Way Ellen (Roberts) had some money and didn't mind violating the GOP Eleventh Commandment, she could use it as part of her argument that we need someone from outside DC as our senator. Nah, it's not his fault. Nothing is ever their fault–IOIYAR. AmIright, EF? Based on the information in this thread, Speaker Boehner made the right decision when he rejected the VA's offer to delete construction of two buildings, including one to treat PTSD. That offer was simply a political ploy by the VA to distract attention away from the agency in a clumsy political maneuver to blame congress for this mess. Can you imagine the political consequences and the public outcry if he would have accepted the offer and thus severely reduced treatment for one of the most prevalent and terrible maladies suffered by our veterans. The executive branch of government and the general contractors who bid on this project must shoulder most of the blame for this mess. The VA needs to focus on completing the project and beyond that simply take responsibility for this botched project. I haven't seen anything to indicate that these are the reasons Boehner rejected the proposal. 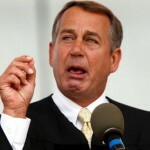 Quite sure you’re correct about Boehner. According to the DP reporting the other day, the reason the VA offered to sacrifice those two facilities was simply that ground hadn't yet been broken on either, so it was a pragmatic choice from a bureaucratic view — unfortunately, not from a patient-needs view.